The Banshees are weak but fast, so you may have trouble keeping up. But as long as you can strike while their shields are down you'll be fine. Otherwise they'll run and regenerate their shields. 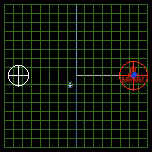 Once down on the planet, at each Nav point fly towards the ground and head straight for the missile turret. By staying close to the ground their missiles may run in to the ground. 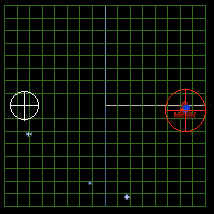 Once each Nav point is clear, press your H key and then target the ground complex and take ten pictures, then press H to return to normal guns. Repeat this for each Nav point, then head home. Success go to Tyr 2a. Failure go to Tyr 2b. As a reward for your success in the last mission, you have a relatively easy one this time. The two Banshees and the ground forces shouldn't faze you since they didn't last time. You'll probably have to wait for the shuttle to finish before you can head for home. The problem is on the way home when you are faced with four Banshees. All that you can do is try to even the numbers as quickly as possible and keep them away from the shuttle. It is also a good time to use your remaining missiles. Success go to Masa 1. Failure you lose. This mission can be a real battle but fortunately this time you have Maniac for backup. If he decides to help you. You'll probably have to wait for the shuttle to finish before you can move on to the next Nav point. The only time that you are outnumbered is on the way home when you are faced with four Banshees. All that you can do is try to even the numbers as quickly as possible and keep them away from the shuttle. It is also a good time to use your remaining missiles. When you return, head straight to the briefing room not even stopping to save otherwise you'll miss the message from Tolwyn. Comments : Nightmare tips: These may be the hardest of all missions. Avoid all Banshees. 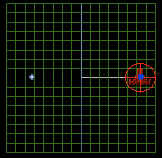 Fly perpendicular to the planet nav for 3.5 bars or 5 mins., then autopilot to planet. Maniac must survive through extraction.Turrets=#1prio rity-use guns on them. Comments : Encountered a gamebug in this mission. After eliminating all enemies at complex 3, the shuttle was stuck in air, not moving, and Maniac seemd to have been stuck at complex 2 (he was 60000 klicks away). Could not complete mission. I tried it even twice with the same bug, guess the game needs a restart once the problem occurs. Comments : Admiral Tolwyn's message can only be seen when you are in Flight control and click on the door to the left directly! If you instead enter Briefing room via the map (m), you wont get it! Also you must not save your game before getting the message (so I read, unconfirmed). Comments : "Tap" afterburners to conserve them while taking out ground missile turret 1st. Then take out ace vindicator with a missile. Then take out last fighter with guns. Repeat for each nav.